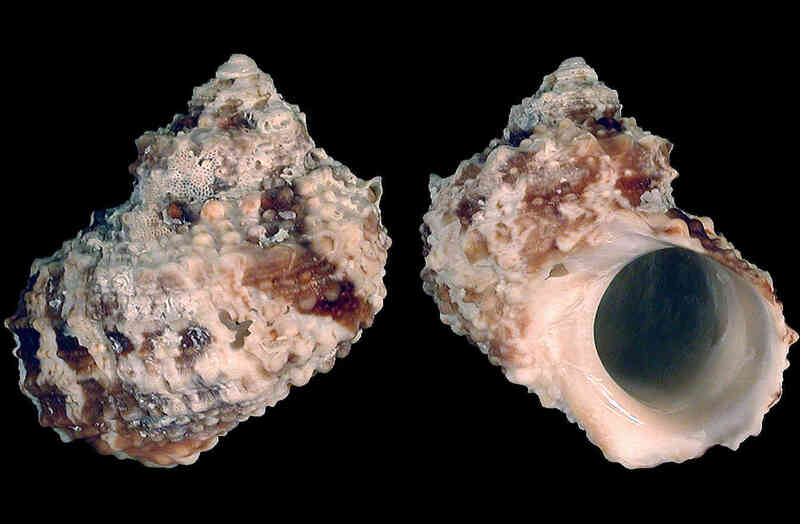 Shell size to 38 mm; shell turbinate. Sculpture of spiral rows of beads, sometimes with small spines on whorl shoulders. Color tan to light-brown, with patches of brown, reddish-brown and cream.